For a vacuum scientist, ITER is the place to be! Roberto is an accelerator man with 22 years of experience in high vacuum. 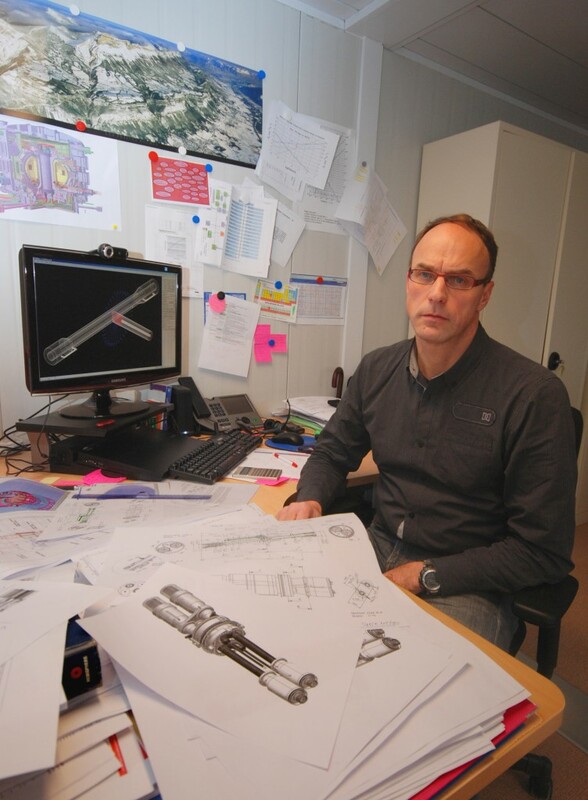 "From a vacuum point of view," he says, "ITER is the place where a scientist wants to work." To most people, the vacuum in the ITER chamber is extremely high. To Roberto Kersevan, who joined ITER last July as a vacuum design engineer, it is much lower than the ones he has worked with for the past 22 years. Roberto is an accelerator man; he comes from a world in which vacuums are roughly 100,000 times higher than in a tokamak. The ITER environment, however, is more challenging. "We have to deal with different flow regimes," explains Roberto, "and because of the size of the chamber, we need an enormous pumping speed, tens of times higher than that of a large accelerator. And of course, the nuclear environment in ITER is much harsher ..."
This challenge is precisely what drove Roberto to ITER. His career in vacuum had taken him from the now defunct US Superconducting Super Collider (SSC) to the Cornell Electron-positron Storage Ring (CESR) and finally to the European Synchrotron Radiation Facility (ESRF) in Grenoble, where he headed the 16-person vacuum group. It is not frequent for a veteran engineer to "step down" from being group leader and to take a job as a "mere" vacuum design engineer. "I wouldn't have done it for another accelerator," says Roberto. "ITER is different. From a vacuum point of view, it is the place where a scientist wants to work." Last summer Roberto devoted his first month here "to acquiring the culture of the project," something, he admits, that was "...quite difficult, because it is completely different from that at the installations where [he] previously worked." Names, "acronym-speak," and technical interactions between the different sections and departments were especially challenging. Besides his contribution to the design of ITER's vacuum system, Roberto brings a new language to the project, adding to the thirty-odd languages that are already spoken within ITER. "My mother tongue and what I still speak with my wife, at home, is the dialect from the Italian city of Monfalcone, in the Friul region, where I was born. Actually, I can easily revert to the dialect when a discussion gets heated, or when I am angry."